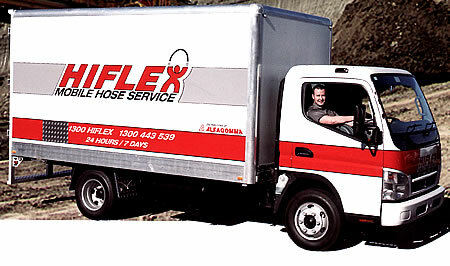 Type 1A fill hose is constructed with high grade chemigum tube for superiorfill applications. This is the connection from the boats fuel fill port down to the boats fuel tanks. USCG/SAE J1527 Type A1 unleaded resistant. Reinforcement: Two-ply synthetic braid with wire helix. For conveying wet exhaust fumes. Cover: Corrugated cover. Black with blue stripe. Synthetic (corrugated finish). Ozone and oil resistant and flame resistant. Reinforcement: High tensile textile cords with embedded steel helix wires. This high quality multipurpose hose is suitable for conveying air, water, oil, all alcohol blended fuel and all petroleum based products. In-house Hydraulic & Industrial Crimping.